OPAL Solar is the free edition to manage persons, addresses and projects. In addition OPAL Solar offers the dossier and document management for trial usage. • 100% of the OPAL functionality. • the administration of up to 1000 persons and addresses. • the administration of up to 200 projects. • the administration of up to 200 activities and documents. OPAL Solar can be extended at any time to any other OPAL product, such as OPAL Professional. There is no need to re-enter the existing data or to re-install the existing OPAL installation. You are entitled to obtain a free license for OPAL Solar, if you use only electricity produced by 100% renewable energies (natural power) in your private resp. in your business household. This offer is currently valid for the countries Switzerland, Germany, Austria, United Kingdom and New Zealand (other countries upon request). 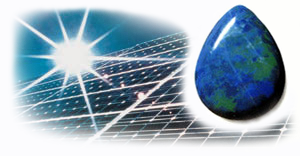 Since 1.1.2008 we charge an administration fee of 50.- CHF for issuing a license for OPAL Solar. Please ask your municipality or your electricity supply company, how to switch your power supply to electricity produced by 100% renewable energies (solar, wind, water, biomass, geothermal). Only the relevant electricity subscription is necessary. All electric mains and power junction boxes in your household remain unchanged. To obtain your free OPAL Solar license, please send a confirming document issued by your electricity supply company (latest invoice or confirmation) together with your OPAL License-Order to: Dolphin's Design Wolfgang W. Rehfus, P.O.Box 515, CH-8802 Kilchberg, Switzerland. On SolarPeace.org you find information regarding the opportunities by renewable energies for peace, economy, security, neutrality and ecology. as well as links to suppliers of natural power.